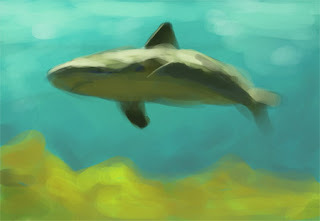 A 20 minute digital study I did of a photo I took at Sea World. Mostly done for practice in picking colors in Photoshop without the use of the eyedropper tool. Great study- this is good practice.